One of the first rules of managing your money is never to give, or to accept, advice about money. I’m not giving any advice in this post. But I am suggesting that now is a good time to take a good hard look — according to one’s own lights — at the state of the U.S. (and the global) economy. Yesterday, the yield curve on U.S. treasury bonds (2-year notes vs. 5-year notes) inverted for the first time since 2007. We all know what happened in 2008. An inverted yield curve, of all economic indicators, has proven to be as reliable a predictor of economic downturns as exists. Bloomberg: The U.S. Yield Curve Just Inverted. That’s Huge. Am I blaming Trump? Not necessarily. Just as Trump gets zero credit for the past few years of economic growth, he may not get the blame for the next recession. Economic cycles and their causes don’t usually have a great deal to do with who is in the White House. But how a country responds to an economic downturn, though, is very important. Trump has plenty of room to screw up on that. Back in the 1990s, as I got old enough to get serious about money and retirement, I did my best to study up on economics, investing, and economic cycles. I watched very carefully as the Dot-Com boom of the late 1990s turned into the enormous bubble burst of 2001. And as the housing and mortgage bubble grew during the Bush-Cheney years, I watched with horror (because I was very close to retirement). That bubble burst in 2008. But I landed on my feet without losing a nickel of my retirement money, because I knew the bust was coming. During periods of economic growth, risk is less risky. Lots of people make money. But when an economic downturn is looming, it’s time to go defensive. Going defensive means taking a look at your investments. Is your money in the right places? Going defensive means taking a hard look at the economy, trying to figure out where the trouble spots are, and trying to figure out one’s vulnerabilities. When big players in the stock market (often called “strong hands”) realize that the market is unsustainable and is going down, there is a huge retail effort to transfer stocks to “weak hands.” Weak hands are then forced to sell in a panic and absorb most of the losses. That’s why professional investing advice is often so corrupt. There is a famous (and possibly apocryphal) story about J.P. Morgan, who said that he knew it was time to sell his stocks when his shoeshine boy started talking about buying stocks. It’s true that the stock market is not the economy. But the economy and the stock market do tend to run on parallel tracks. We all need our own crystal balls, because everyone’s situation is different. I’ll have more posts in the future on economic conditions. But, for the moment, I have only one point to make. That is that the warning lights are flashing that the time has come to go defensive. Thanks to globalization, we’re all in pretty much the same boat these days. Readers in Europe have plenty to think about, too, such as Brexit in the U.K., or the recent outbreak of economic discontent in France, which has forced President Macron to reverse course on fuel taxes. As for me, I’m going to plant an extra-big garden next spring. Update: Just after I posted this, the Dow Jones Industrial Average was down almost 800 points. The media are focused on a connection to American trade with China. But I suspect that it has much more to do with investors spooked by the yield curve, as large institutions unload stocks and go defensive. The Dow may well regain most of these losses tomorrow morning, as often happens. But this kind of churning in the stock market is typical of what occurs at this point in the economic cycle. Update 2: This advertisement appeared in my Facebook feed a day after I wrote this post. This kind of deceit is typical at this point in the economic cycle. As “strong hands” work to sell off their holdings for as high a price as possible, retail efforts intensify to sell stocks to “weak hands,” who are not aware of where we are in the economic cycle and are left holding the bag. 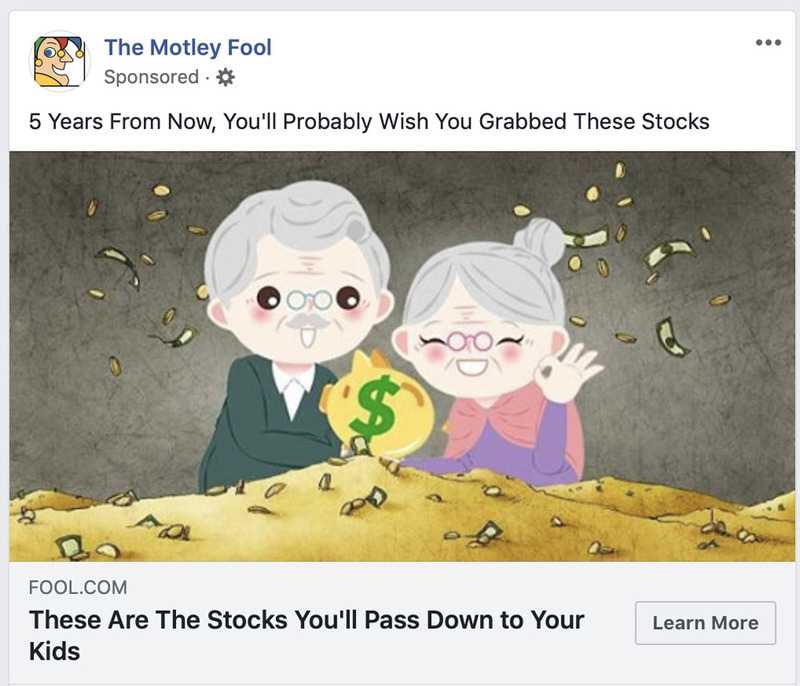 Notice that this ad is targeted at older people, and that Facebook knows my age. This was written by daltoni. Posted on Tuesday, December 4, 2018, at 1:20 pm. Filed under Economic issues, Political issues. Bookmark the permalink. Follow comments here with the RSS feed. Trackbacks are closed, but you can post a comment. I think most reputable economists have a consensus that growth is driven by responsible monetary policy, while responsible fiscal policy during bear markets, corrections, and recessions eases the blow by relaxing access to credit and driving spending. A mix of both is really needed to keep the economy going but inevitably there will be politicizing the means of how to achieve those goals because that’s always necessary. If I had to guess, a mild recession is coming during the second half of Trump’s administration and will likely be “saved” when he’s inevitably reelected. I’m hopeful to be wrong on that but I bet he wins (electoral college), and the market will overreact for another four years. Bernanke did QE by lowering rates and buying up distressed holdings. Powell has made it clear he wants to raise rates and clear the books even though inflation is only being found in stocks not consumables. I’ve spoken with money managers who are certain the market is being killed off slowly. The rate inversion might be the sign for many of them to bail on equities until the crash comes and the dust settles. The Dow didn’t hit 20,000 until Trump’s inauguration and since then it’s gone up to 26,000. Not even two years. It could crash hard. Anyway, patience is a virtue. Dan: Yes, yes, and yes, excess for one point. I cannot imagine Trump even remaining in office for a full term, let alone running again. His criminality will soon catch up with him. I hope Mueller’s investigation is building up to the crescendo that will cut the head off the snake. I know markets and the economy are not tied to the whim of Trump’s tariffs or his administration at all for that matter, but conservatives at large are so prone to fall for conspiracies and legitimately fake news stories that any sign of an all-out regime change might push their reactionary nature into a frenzy of violence and bank runs. We’ve seen bits and pieces of their violent tendencies but I’m honestly a little afraid of how far they’re willing to take their ignorance. I’d like to see what is happening right now in markets, this wild volatility that has the Dow down another 725 points as of this comment, to stop long enough for me to make it out without losing my shirt and move to cash until the storm passes. That’s just me being selfish, but I’d like more to see the criminality and degradation that’s become the norm in American politics the last two years done away with swiftly. Dan: I’m a bit surprised to see so much market turmoil only three days after the yield curve inversion. In the previous two downturns, 2001 and 2007, the exuberance died very hard, leaving more time to go to cash. The media keep talking about China and trade, but I continue to suspect that the bond market is a bigger factor. That said, Trump seems determined to pick a fight with China. The arrest of Meng Wanzhou seems very political, because of the timing. Trump had better watch out, because he’s setting himself up to have a deteriorating economy hung firmly around his neck, whether fairly or unfairly. Trying to take credit for a rising market is a very foolish invitation for being blamed for a falling market. His bullying tactics on trade will make things much worse for him. My hope is that peak Trump will coincide with peak Republican and the peak of the Obama-era recovery from the Bush-Cheney financial catastrophe and the recession that followed. Things may get so bad that even Fox News won’t be able to make up lies fast enough to spin it. 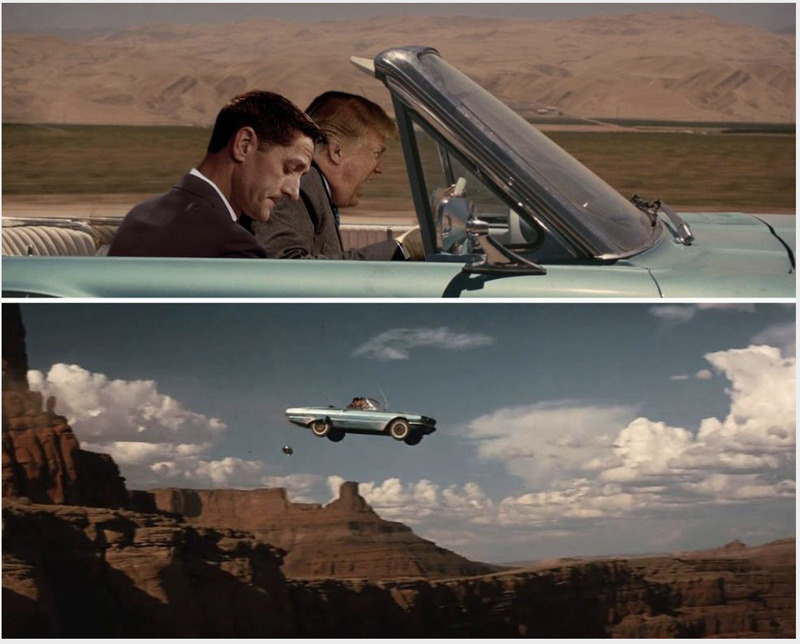 I want to see the Republican Party get what it deserves, because all it does is destroy: its own destruction and a stake through its heart, as has already happened in California. I wasn’t aware of her arrest until just now. He’s really out to pick a fight. I just don’t get it. The overarching tenet of free trade is that there is no zero-sum game between countries. Companies fight for their share of the market but it’s in the each country’s best interest to work together to keep the engine running free of pings and knocks. So, the market was down 800 points from the other day, falls another 780 points as the day rolls on, and Powell comes out and says he may pause rate hikes. We’re no longer using the Fed to stabilize employment or inflation. We’re having to use it to balance out the harm done by Trump.